Welcome to the first session for Level 1 NAB AFL Auskick program! Let’s get this season started! 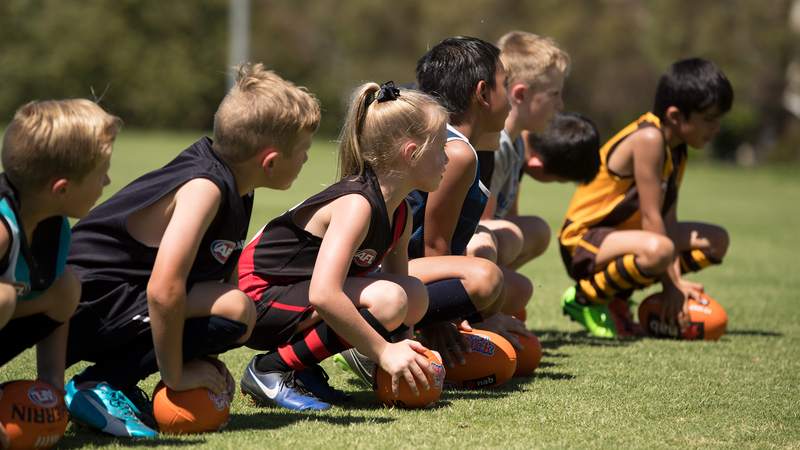 This session is made up of activities that will teach your Auskickers fundamental motor and footy skills, alongside game-based activities that replicate footy-match scenarios. Activities include: Around the World, Handball Heroes, Ruckman’s Treasure, 'Here, There, Everywhere', and to finish, a Mini Match. Each activity is fun and playful and is an awesome first taste to the program. It’s time to now kick-start the season! And remember; if your Auskickers are smiling, you’re doing a great job.